Alloy Steel Flanges, Alloy Steel Flanges Manufacturers & Exporters, Alloy Steel Flanges Suppliers. 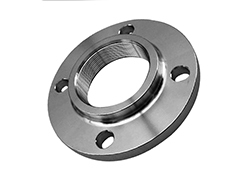 We Royal Steel India, are one of the leading Manufacturer, Exporter & Supplier of Alloy Steel Flanges. To meet diverse requirements of our clients in the best possible manner, we are manufacturing, exporting and supplying a comprehensive range of Alloy Steel Flanges. Offered flange is manufactured by our competent professionals using the best technology to render maximum client satisfaction. The offered range tested by quality checkers to ensure defect free range from our side. Moreover, our valuable clients can avail this range from us at market leading prices. Alloy Steel Flanges are indispensable components when it comes to strong joining. There are many standards of flanges that are accepted worldwide. Here, we offer a wide range of Alloy Steel Flanges like Slip On Flanges, Orifice Flange, Weld Neck Flange, ANSI Flanges, Spectacle Flanges, etc. Find the suitable Alloy Steel Flanges Manufacturers, exporters, sellers from the below list.